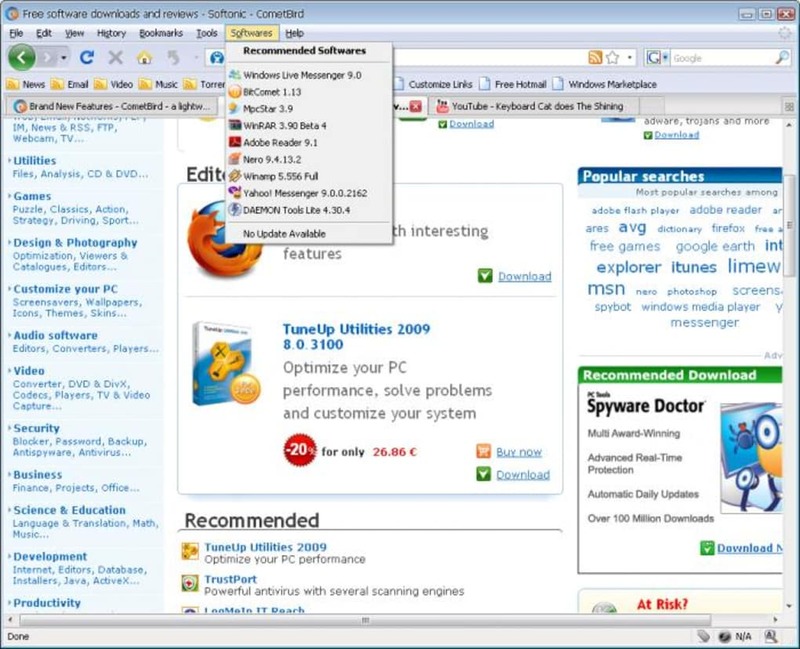 Everyday there are more and more web browsers for you to choose: not only new major versions from the most popular ones, but also less well known options such as CometBird. 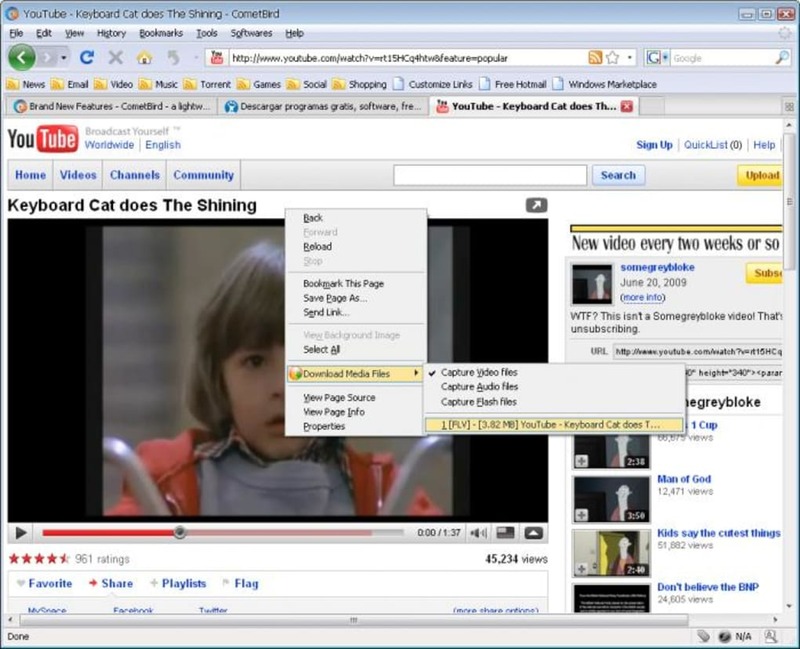 This web browser is based on the Gecko engine (the same one used by Firefox) and offers you a new interface to browse the web from. The actual appearance of CometBird is not that different from other web browsers – especially Firefox – but it does include some outstanding features. 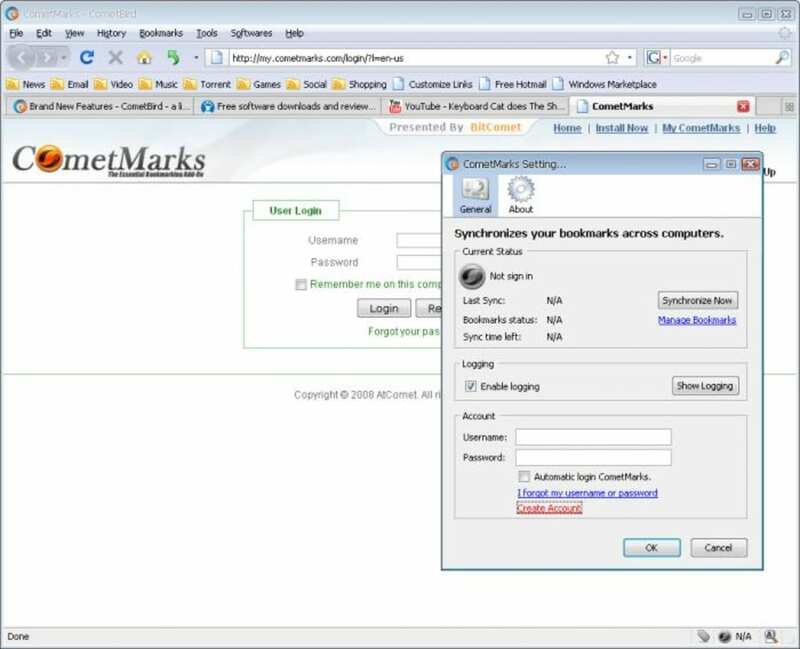 One of them is the ability to synchronize your bookmarks with an online bookmark syncing service provided by the CometBird developers, known as CometMarks. Another one is the possibility to download media files (Flash, video and audio files) directly from the browser, without using third-party download managers. It's a pity it doesn't work with photos as well. CometBird worked fine during our tests and was very light on resources, which is always good. But I had the impression that it wasn't that much different to other web browsers. Besides, the translation tool didn't work and when it comes to importing data from other browsers (bookmarks, history, passwords and the likes) it only works with Internet Explorer. CometBird is a fairly standard web browser that joins the list of available choices, but doesn't really stand out with any special features. 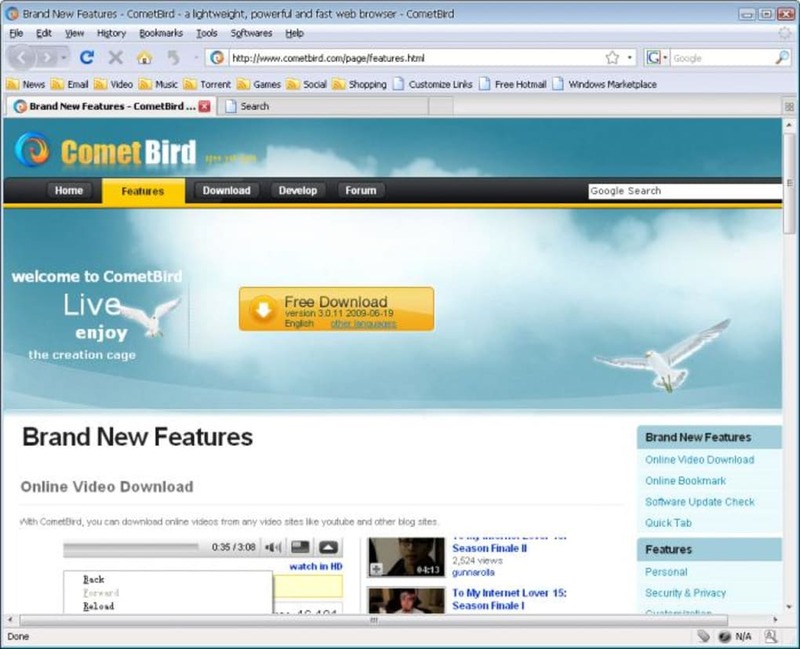 CometBird is an Optimised Browser. I have started using CometBird Browser recently , interestingly introduced to me by one of my students. I found the browser fast and so far no issues with that. It used Firefox libraries and engine. so all the Firefox extensions would work with Cometbird browser. You can use same firefox extensions with CometBird.